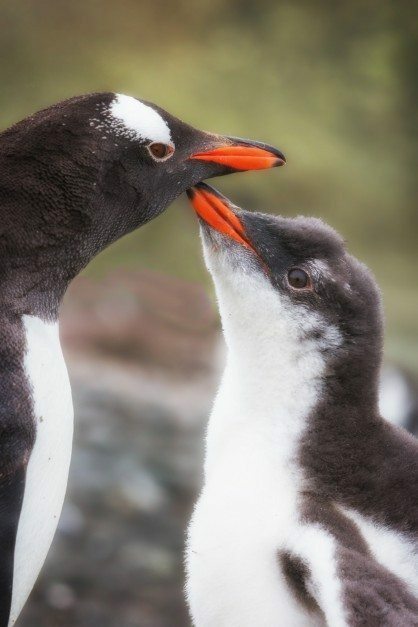 Antarctica Cruise season is in full swing and if you are one of the lucky few to check the 7th continent off of your bucket list, you are going to want to create lasting memories of this trip of a lifetime. 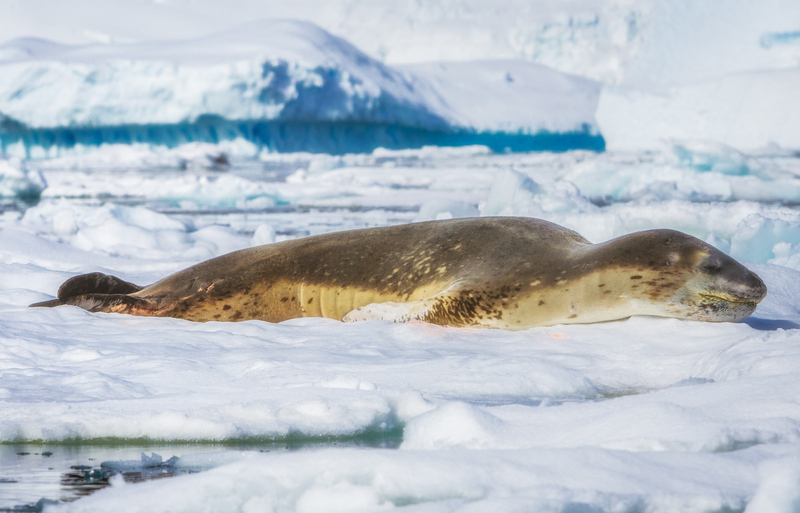 These Antarctica photography tips can help you capture those images. 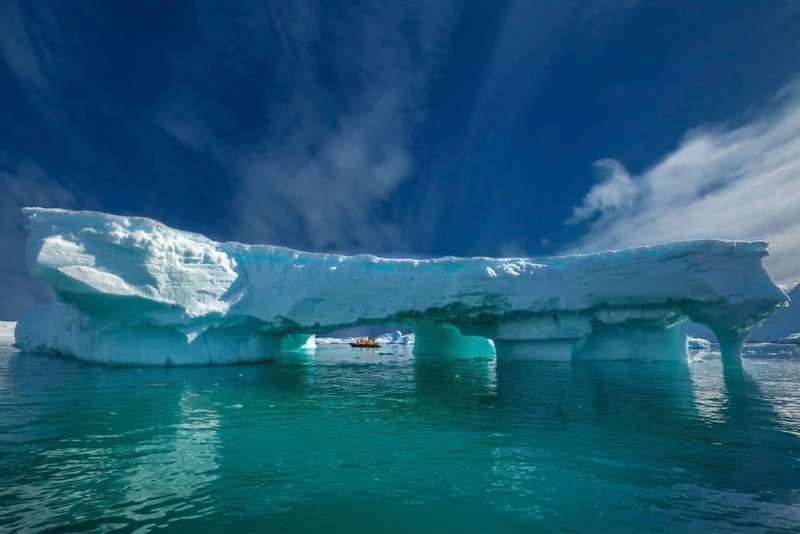 We've been fortunate to witness the majesty of Antarctica and have had the honour of having our photographs featured in the Quark Expeditions brochure and in many other magazines and features including the Lonely Planet and the Toronto Star. There are several photography tips for travel and landscape captures, but Antarctica photography is an entirely different beast. There are many elements to deal with from cold and damp weather, extreme climate changes, unstable shooting environments and having to be ready to capture a spectacular scene at a moments notice. 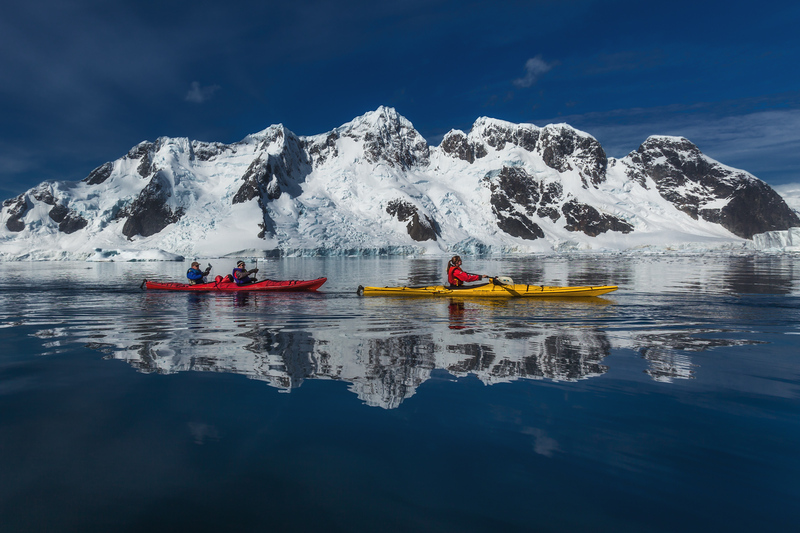 Antarctica photography can be intimidating, but if you follow a few of my tips, you'll be sure to come home with frame-worthy pictures that will be a conversation piece for the rest of your life. This may seem like an odd tip to be number one, but this inexpensive item will keep your camera gear safe from breaking down part way through your Antarctica Cruise. Condensation ruins cameras. After a few hours outside your camera gets really cold, I used really large ziplock bags to put all my gear in before I went back inside the ship. This allowed the cameras to warm up at their own speed without forming condensation. Make sure to put the camera in the bag and zip it up before going inside and dispell all of the air out of them. Your camera will thank you. The last thing you want to do is change lenses outside in the elements. So be prepared for any situation with your 2 lenses of choice mounted on 2 separate bodies. I used Canon 5D MKII and Canon rebel T4i. That way I could shoot the massive landscape scenery, but quickly change cameras to capture a whale that unexpectedly surfaces or a penguin off in the distance. Antarctica Photography Tip: Bracket your shots to help capture the right exposure and white balance. Getting the right exposure in snowy locations can be tricky. Usually you cameras meter has a hard time reading snow and this can lead to the dreaded “grey snow” effect. In order to avoid this situation try bracketing your exposures. Usually, 3 or 5 brackets at an interval of 1 to 2 stops will cover you so that you can get that crisp white snow. If you are unfamiliar with this process try and use your cameras spot meter. It will give you a more accurate reading. 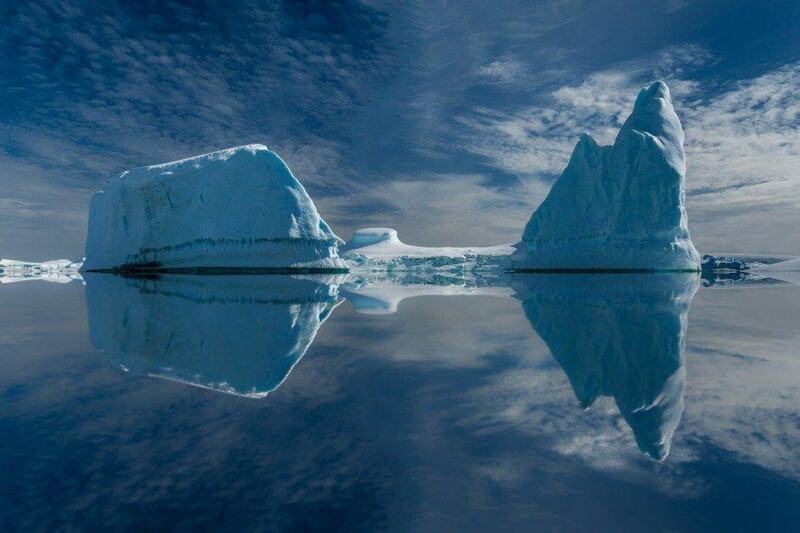 Antarctica Photography Tip: Show Scale. With large icebergs and massive land formations showing a sense of scale can really give the viewer a sense of what it is like to be there. By placing kayaks, people or wildlife in the frame it will help to translate the sheer size of the environment you are in. You can also use the ship or zodiac to relay this information. This shot with the seal and the ship in the background really gives you a sense of how large those surrounding icebergs really are. You are going to see so many penguins that finding an interesting way to photograph them can be difficult. I found that getting as low as you can and placing them against the background works really well. Most people use a long lens to accomplish this but if you are patient enough and let them come to you then you are able to use your wide lens and capture more of the surrounding area and give the view a sense of place. This is a perfect example of that where I was down on my stomach with a 16-35mm lens. 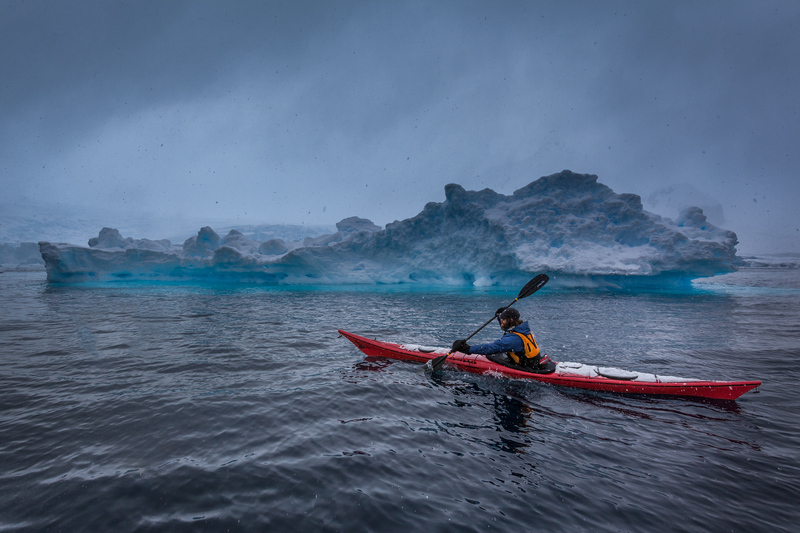 Protecting your gear from the elements is imperative especially in Antarctica where weather can change in an instant. I remember heading out on the zodiac when the sun was shining and 45 minutes later it was snowing and then that turned to rain. Combine that with the salt water and it can ruin your camera. I made sure to bring a dry bag to store all my gear when I was on the Zodiac but also had my cameras in an Op/Tech rain sleeve which are very cheap and do the job. If you can't find those then a Ziplock bag with a hole cut in it would do in a pinch. 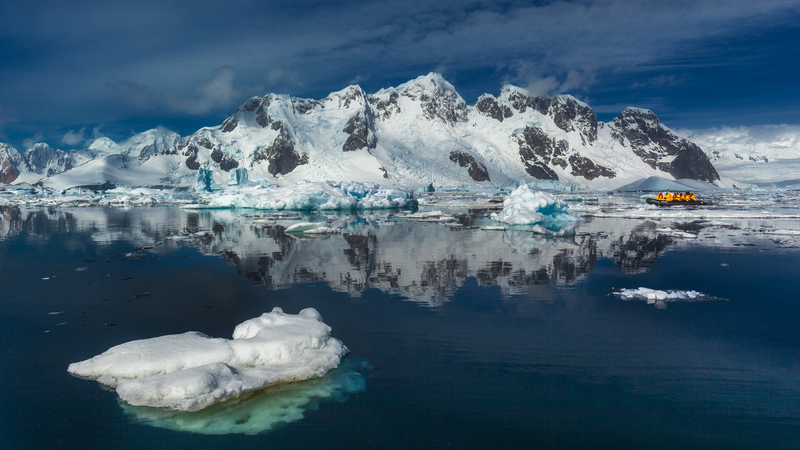 Antarctica Photography tip: Know your settings. You don't want to miss shots like this. A little trick I always do is take some test shots in the environment I am in before the action starts. This means that while you are on the zodiac heading out for the day and before the humpback whales start surfacing, make sure you have your camera on the right settings. I used shutter priority mode at 1/200th of second or faster if I was shooting from the Zodiac or Kayak and used Aperture Priority mode when I was on land. 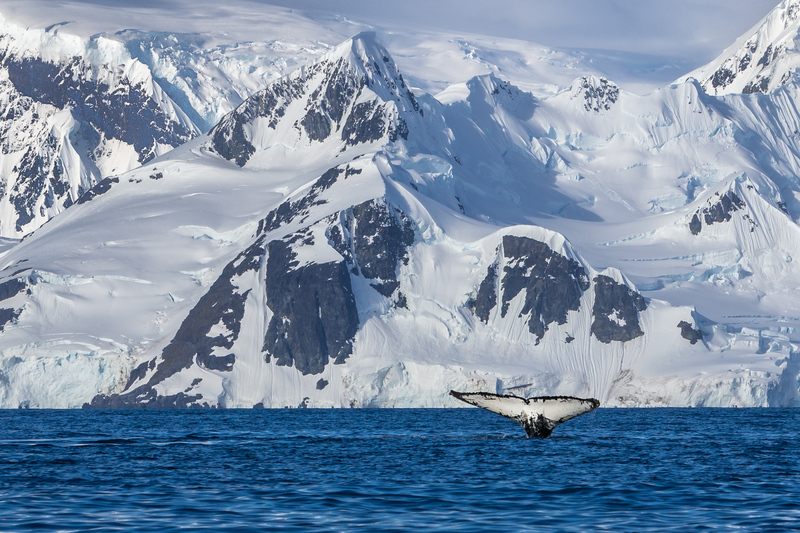 The last thing you want to do is have that humpback whale show his fluke in front of an iceberg and the shot be blurry. Knowing your camera and how to use it in different situations will help you bring back the best shots possible. I do recommend bringing 2 types of filters. A UV filter to protect the front of your lens from the elements and a polarizing filter which will help reduce glare on the water and can help saturate the colours as well. A word of warning is to make sure you know when and when not to use the polarizer. It can really over saturate the sky if you are not careful and give an unrealistic look to your photos. So, test out how you are going to use it before you leave. That should do it. These Antarctica photography tips not only helped me capture some great images but they have also helped me keep my camera safe when we are in all kinds of different weather situations. 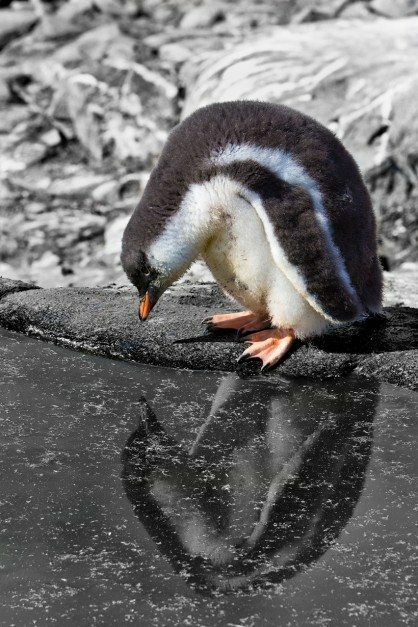 22 Responses to "Antarctica Photography – 8 Easy Tips and Tricks"
I am leaving for Antarctica in 10days. I have a simple lumix Panasonic DMC-Z5S50. Do you think I should invest in a professional camera? I want to enjoy the trip than just taking pictures. You don’t need a professional camera. It depends on if you want to bring home high quality images, or if you just want to capture snapshots. You can get a lot of good images with a point and shoot, penguins are very close and easy to take snapshots. This is just a guide for those wanting to bring home frame worthy shots. So it’s really a personal choice. have a great time! wow! amazing tips and amazing photos guys! 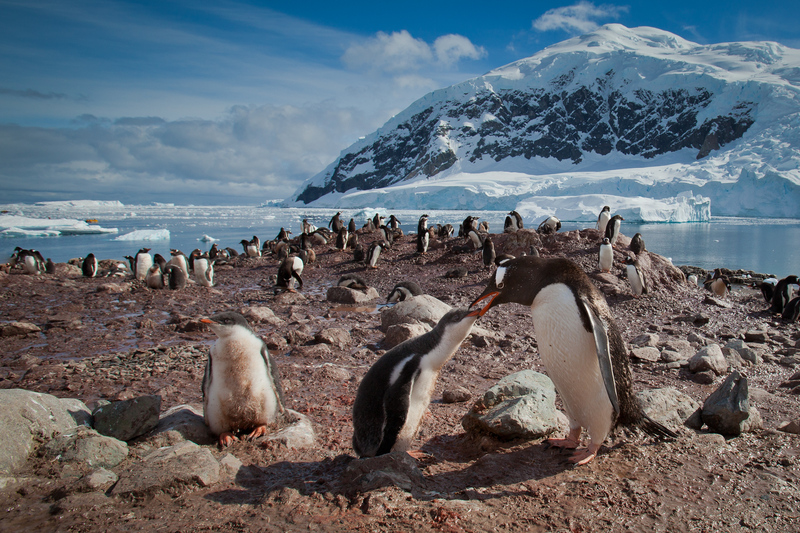 this post isn’t just great tips for Antarctica but photography anywhere! Antarctica is really a wonderful place! I have been dying to know. Wonderful pictures! I am in searching some pictures covering a long exposure of a scene. Some photographers captured photos while using this technique but mostly it seems that these are photoshopped although the capturing are original but it never look genuine. Suggest me and tell me how to capture a good looking picture covering long exposure and how its look never goes fed. Good tips, and great photos, guys. Zip-lock bags have been a standard part of my photo gear ever since I got caught in a rainstorm in Costa Rica and fogged my telephoto lens. However, I never thought of using them to prevent condensation in cold weather. The biggest problem I had shooting in the Antarctic was dull, grey weather — unlike the blue skies you were lucky enough to get. I managed to get good shots by bracketing and experimentation, but I was sorry later that I didn’t go into the menus of my camera and increase the contrast setting. It’s also a good idea to shoot in RAW mode in difficult lighting situations like that, since you can do a lot more with images later. I was just telling my son that Antarctica was on my travel bucket list and low and behold your article pops up the same day. Your wonderful photos convey the life and beauty of the place that most think of as a frozen wasteland. You guys have sealed the deal for me. Keep up the excellent work. Great tips. Bringing a dry bag and using freezer bags are good ideas for keeping our equipment safe, and using wildlife or man-made objects is a great way to show scale, as that can be difficult to do in a shot only showing ice. Thanks for the post! Truly one of the most beautiful places on Earth, and always so overlooked. All pics are beautiful. Antarctica is looking very cool in photos so I can imagine how much cool it will be in real. I love the second to the last photo of the whale (I hope I get it right)! Now that’s awesome. i’ve visited almost 90 countries, but I have to say that Antarctica is my dream trip. The problem is that the trip from Poland is extremely expensive. Do you have any recommendations? I want so much to create a gallery from this part of the world on my website. Any tips would be appreciated. Hi Piotr. The best thing we can suggest is to go to Ushuaia Argentina overland and look for deals when you are there. 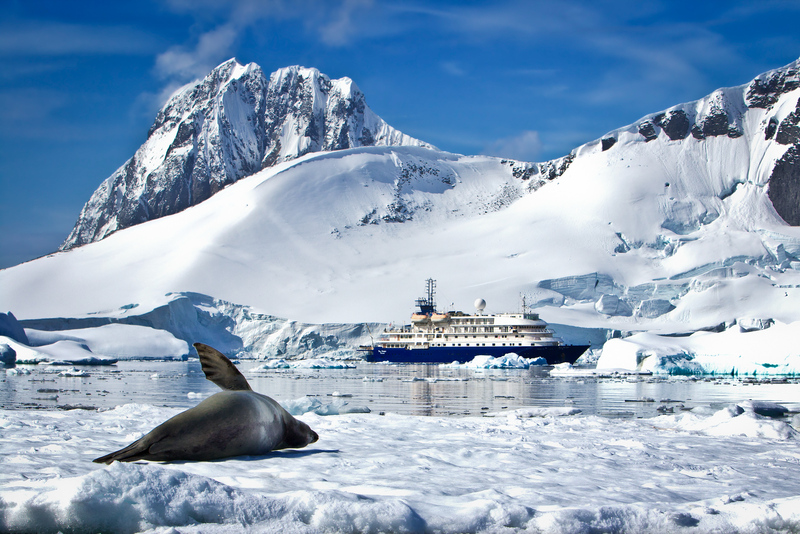 Many Antarctica trips have 50% off sales from Ushuaia because they need to fill their ships. If you can wait a bit you can shop around there for a few days for the right deal. Also, Quark Expeditions has sales regularly if you keep checking their website. They had a flash sale last month for 50% off select cruises. It can be done and the price is dropping regularly as more expeditions head to Antarctica. Best of luck and thanks! Congratulations on your travels. 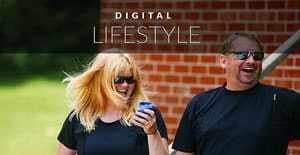 It sounds like you are living a dream life! 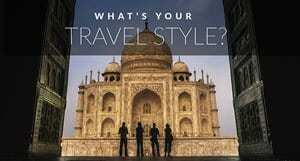 I would say, since you are an avid traveller, a great way to save money is to combine it into a backpacking trip to South America. We saw many backpackers that worked their way through Argentina and then ended up in Ushuaia. If you have time, you can wait for deals to pop up; especially at the end of the season. Quark Expeditions also have flash sales all the time. They have 25% off going right now and earlier this year they offered 50% off trips. Keep an eye on their website for sales that happen. There are several levels of cruises as well. From luxury to basic freighter trips. There are definitely ways to do it. I even just travelled with a person who joined a sailing trip to Antarctica in exchange for working on the boat. Just be creative and you’ll make it happen. Good luck! The ziploc bag is a tip I did not know – The photographs just make me want to GO so I can try out all my new camera gear !!! That’s the best, going on a trip to play with new gear. 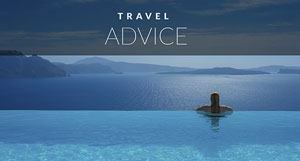 Enjoy your next travels wherever they may take you! I want to go to Antarctica so bad! 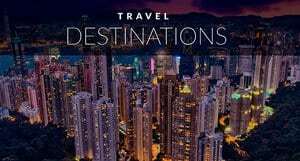 Great photos and tips – I had no idea about the ziplock bag trick so will definitely use that the next time I’m in a cold climate. Do you think it would work in warm, humid climates like SE Asia too? It’s a great tip to protect your camera and help you use it faster. When the dew builds up it can totally ruin a camera and also, you won’t have to wait so long for the lenses to defog. I am not much of a photographer, but I have to say…these are lovely photos you guys have taken. If Antartica looks so cool in photos, I can only imagine how awesome it will really be! Thank you! And you are right, Antarctica is even better in person. It’s impossible to portray the massiveness of the ice and continent and the immense beauty of the area, but it’s fun to try!